Don’t faint. The list of ingredients may be long but the instructions below are not. I promise. TIP: Feeling guilty about all the sugar in these, I used light tasting olive oil for the oil and it worked fantastically well. Okay. After that epic list of ingredients, here are the super-easy instructions. In large bowl, whisk together the dry ingredients. In medium bowl, stir together the pumpkin, eggs, and oil. Make a well in the dry ingredients and add the wet. Stir together and, if using, add the nuts and dried fruit. See simple! Now divide into your cupffin cups. Sprinkle with extra cinnamon and sugar if desired, and bake for 25 minutes. These are good warm, but they really shine the next day after the flavours have had time to greet each other and mingle a bit. Add a pile of not-too-sweet cream cheese icing and these cupffins will grow up to become full blown cupcakes! 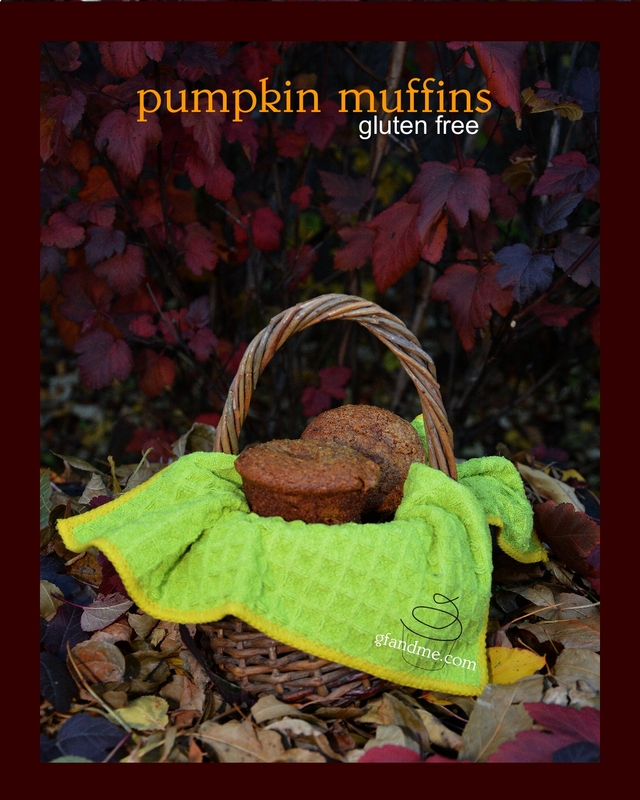 This entry was posted in Baking, Breakfast & Brunch, Recipes and tagged almond flour, Cupcake, gluten free, holidays, muffin, tapioca flour. Bookmark the permalink.